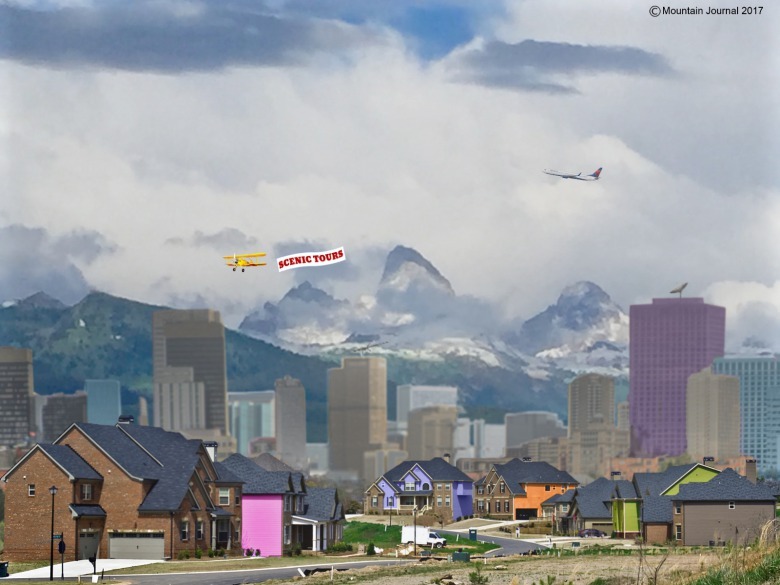 What Does It Mean For Greater Yellowstone If Bozeman Becomes Minneapolis-Sized And Jackson Hole Becomes An Anchor For Salt Lake City-Like Sprawl? In the stillness of a summer morning, haze from wildfire smoke thickening the air, Randy Carpenter arrives for a hike up Sypes Canyon in the pastoral northern outskirts of Bozeman, Montana. Ascending into the Bridger Mountain foothills, we talk about how “crazy” it feels these days “in town," how quickly new subdivisions are springing up in fields that a year ago were covered with wheat. And then Carpenter starts in, reciting some jaw-dropping statistics that seem abstract until we reach an overlook and gaze clear-eyed into an uncertain future. Before us, and stretching for nearly 40 miles to the next muted horizon is the Gallatin Valley, one of the fastest-growing semi-rural settings in America. Carpenter, known for his work as a career land use planner, says it won’t be long, given current trend-lines, before the vast chasm of space fills in with exurban development. Yes, it’s a fact in the Anthropocene: places grow and inevitably change. I’ve been fortunate to view some of the more spectacular undiscovered ones firsthand in my reporting around the world, but what Carpenter says has radically altered the way I think about the place I call home—the place that I assumed given the huge base of public lands would always be protected. It’s made me realize no other models from elsewhere can be imported to resolve what’s currently happening rapidly in Greater Yellowstone, the wildest corner of the Lower 48 states. Rather, the paradoxical challenge, Carpenter says, is that Greater Yellowstone’s own salvation depends upon it becoming the example other regions with wildlands in their backyards emulate. But it means achieving something that’s seldom been accomplished in the modern world—defying human nature. Bozeman/Gallatin County presently is inhabited by around 105,000 human denizens. One of every ten Montanans dwells here. But within 24 years, given a three percent growth rate, the number will double. It means that Bozeman/Gallatin, by 2041, will equal the size of Salt Lake City proper (minus its suburbs). Even more sobering, in less than half a century, 2065, based on the same rate of annual growth, there will be a population of 420,000 (equal to all the residents of the entire Greater Yellowstone today). The paradoxical challenge, Carpenter says, is that Greater Yellowstone’s own salvation depends upon it becoming the example other regions with wildlands in their backyards emulate. But it means achieving something that’s seldom been accomplished in the modern world—defying human nature. That’s a concentration of people, to put it in perspective, Minneapolis-sized (not including St. Paul and the suburbs), consuming much of the open space between the Bridgers and the distant ranch/farmlands around Three Forks, the town so named because it’s where the Gallatin, Madison and Jefferson rivers converge to form the birthplace of the Missouri. Many Bozemanians, Carpenter admits, probably find the prospect of us becoming Salt Lake and then Minneapolis inconceivable, especially those boosters of growth who have steadfastly fought progressive planning and zoning, impact fees, placing conservation initiatives on the ballot for voters to decide and anything else they find to be restrictive of individual liberty. Point of fact and this is the shocking part, Gallatin County is actually growing at better than a four percent rate—not three. (Recently, I spoke with a local public health official who serves on a committee addressing the shortage of doctors in southwest Montana and the demographic data they are using suggests the growth rate for Bozeman/Gallatin is actually eight percent, meaning the scenario above could happen twice as fast). Carpenter uses three percent to be conservative in his extrapolation—indisputable and very conservative, it turns out, given still other wildcard factors that could make the growth projections seem quaint. He makes his calculation using the "rule of 72" in which the constant growth rate is divided into 72 and it provides the number of years it takes a locale to double in population. (Ironically, the same formula can be used for calculated return on investment). A three percent annual growth rate means Bozeman/Gallatin will double in 24 years. A four-percent rate, meanwhile, means it would only take 18 years to reach Salt Lake City and 36 years (or the year 2053) to match the population of present-day Minneapolis proper. Growth, some opine, is always good, that it’s better to be booming in the West instead of busting. But the questions are: good for whom, good for what, and how are growth’s real impacts and hidden costs really being manifested? Most importantly, who is paying for them? Bozeman, as the largest community in the Greater Yellowstone Ecosystem, could be regarded as its capital city yet it does not exist in isolation; its trends have huge implications for every corner of the region. Bozeman/Gallatin, by 2041, will equal the size of Salt Lake City proper (minus its suburbs). Even more sobering, in less than half a century, 2065, based on the same rate of annual growth, there will be a population of 420,000 here, equal to present-day Minneapolis proper. And Carpenter says that could actually be a conservative estimate, with this scenario arriving faster than people think. While the effects of climate change are considered so amorphous, that, for now, they’re difficult to wrap one’s mind around, projections for growth, based on extrapolations of hard existing data, are impossible to dismiss. There is today a palpable sense of social unrest welling up in Bozeman related to the multiplying impacts of growth. It is accompanied by a widespread perception that developers, especially speculators who made fortunes in real estate development in states like California, Utah and Colorado, have moved in for the kill, taking advantage of naive, provincial-minded planning staffs that are increasingly overwhelmed and codes that are lax compared to where the developers came from. There’s no denying the physical manifestations transforming a landscape like the Gallatin Valley that, since in the 1860s, has held some of the richest farmland in the state while providing key wildlife habitat for species synonymous with the ecosystem. The eruption of development is unprecedented, permanent and the impacts irreversible, he notes. Unless leaders in the region, from public land managers to city and county elected officials, become consciously aware of what’s happening and try to get ahead of it, the consequences will be severe, ecologically and economically, he says. 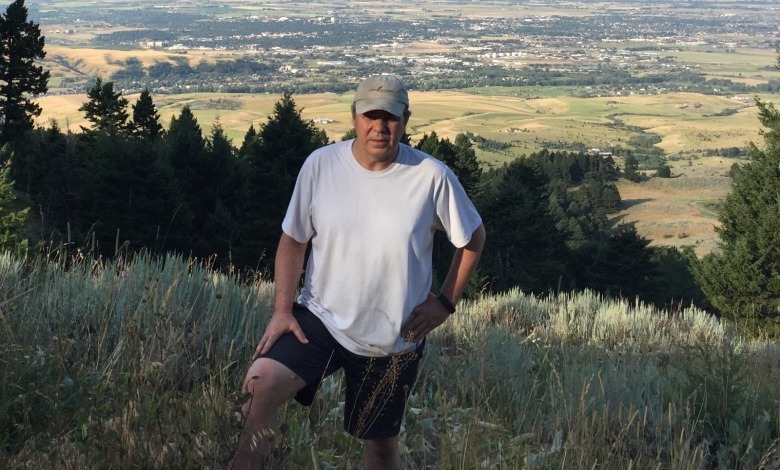 Planner and growth expert Randy Carpenter of FutureWest standing on public lands in the Bridger Mountains with Bozeman and the Gallatin Valley unfolding to his back. Todd Wilkinson photo. Carpenter, who works for the non-profit think-tank FutureWest, which advises rural communities on how to remain vibrant while preserving their character and sense of place, is not known for speaking in platitudes. If and when the anticipated future lying before us arrives, scientists and planners like Carpenter, who have witnessed the results of runaway growth elsewhere, say a vital part of Greater Yellowstone, the most heralded complex of still-wild terrain in the West will be lost. Whether one is Republican or Democrat, a political conservative or liberal, Carpenter reckons that few enjoy paying higher taxes. One prominent expert on land use planning has described growth as essentially a Ponzi scheme by which the economic costs associated with frenzied growth in the present are paid for by receipts generated from growth in the future. The implication is that citizens unknowingly subsidize the very kind of costly growth and profits for special interests they don’t want to pay for. What’s at stake? In a word, wildness; more specifically, a rare quality of wildness capable of sustaining the survival of an unsurpassed assemblage of free-ranging wild creatures. This—wildlife— is the superlative that sets Greater Yellowstone apart from any other region in the Lower 48. It has every major species that was here before Europeans arrived on the continent, most notably grizzly bears and wolves, bison, elk, pronghorn, deer herds, moose and a huge diversity of bird and other mammals, including wolverines, black-footed ferrets Canada lynx, trumpeter swans and sage grouse. What makes Greater Yellowstone eminently distinct is that the large ungulate herds still move across the landscape along ancient migration pathways between seasonal summer habitats in the mountains, where mothers give birth to their young, and winter ranges. The routes used by elk, mule deer and pronghorn are among the longest in North America. Such migrations have vanished everywhere else due to habitat fragmentation caused by human activities. Why do conservation biologists liken Greater Yellowstone to the wildebeest migration across Africa's Serengeti Plain? This is why. See map below. What has spared Greater Yellowstone is its relative geographic isolation, the fact that it does not have a major urban area like Salt Lake City, Denver, or Boise parked on its doorstep. Indeed, the Front Range of the Colorado Rockies and the Wasatch Front are perhaps the poster children of how true wildness in the West has eroded and suffers in the age of the Anthropocene. The Anthropocene being a term describing the era in which human presence wields such influence that it not only causes climate change and species extinctions but fundamentally alters the function of nature itself. Bozeman is positioned on the Greater Yellowstone Ecosystem’s northern flank but by dint of setting it is also a wildlife crossroads between wildlands to the south and north, east and west. (Mountain Journal will explore the vital importance of having functioning biological corridors between other ecosystems in future stories). The 20 contiguous counties comprising Greater Yellowstone are, put together, the fastest growing rural region in the country. It’s vital to note the caveat that not all of Greater Yellowstone’s counties have significantly growing populations, but the ones that do have created a spillover effect that impacts their slower-growing brethren. The growth in Bozeman/Gallatin is actually a harbinger, experts say. Parallel growth scenarios are playing out around the region—astride the Tetons in adjoining Teton County, Wyoming and Teton County, Idaho; the booming state highway 20 corridor between Idaho Falls, Rexburg and Island Park, Idaho; the southern tier of Jackson Hole stretching toward Hoback Junction and Star Valley; a triangle of topography formed by Cody, Wyoming, Red Lodge, Montana and Billings. More people also are pouring into Paradise Valley between Livingston along the Yellowstone River and Gardiner, that is itself the northern gateway to Yellowstone National Park. How will the wild character of Greater Yellowstone be changed when Bozeman/Gallatin Valley hold as many people as present-day Minneapolis? What happens to the Teton region when the corridor between Idaho Falls-Rexburg and Teton Valley-Jackson Hole is covered in Salt Lake City-style sprawl? The average number of people per dwelling in Greater Yellowstone homes is about 2.3, half the number of two generations ago. Yet even with fewer inhabitants, homes are being built with more square footage; many are going up in the forested wildland-urban interface where they are more likely to burn in a wildfire and residents expect to receive expensive taxpayer-subsidized firefighting services. Others, craving views, will unknowingly and with no context provided by realtors, site their dream casas in important wildlife winter range or near riparian areas (river corridors) considered biodiversity hotspots. The space claimed by those homes in exurbia is not merely the envelope of the structure itself but it includes access roads and driveways, outbuildings, gardens and lawns fenced to keep wildlife out, barking dogs, housecats preying on songbirds, mini horse pastures, lawn watering, invasive weeds and herbicides applied to keep them at bay, and ground disturbance to accommodate essential services such as electricity, plumbing and septic. Conservatively, if the growth rate of the past 30 years continues, the overall population of the Greater Yellowstone region is expected to surge, in just 13 years’ time, from the current 450,000 denizens, to 677,000. That translates on the ground to another100,000 homes. The current 450,000 population figure for Greater Yellowstone’s population does not include the 160,000 people currently living in nearby Billings/Yellowstone County located just 20 miles beyond the official northeast edge of the ecosystem. This is important because with Gallatin and Yellowstone counties bookending 140 miles of U.S. Interstate 90 between them, in-fill of development on the landscape is expected to be rapid and some have speculated that by the middle of this century there could be between 800,000 and 1 million people living between Three Forks and Billings. The growth in Bozeman/Gallatin is actually a harbinger of parallel growth scenarios playing out around the region—astride the Tetons in adjoining Teton County, Wyoming and Teton County, Idaho; the booming state highway 20 corridor between Idaho Falls, Rexburg and Island Park, Idaho; the southern tier of Jackson Hole stretching toward Hoback Junction and Star Valley; a triangle of topography formed by Cody, Wyoming, Red Lodge, Montana and Billings. More people also are pouring into Paradise Valley between Livingston along the Yellowstone River and Gardiner, that is itself the northern gateway to Yellowstone National Park. Beyond Bozeman’s coming sprawl, there is another stunning reality. Within a decade or two, the population in the resort community of Big Sky could be approaching the size of Jackson Hole’s and will result in a complete biological east-west decapitation of the north-south running Madison Mountain Range. The Madisons have been an important passageway for wildlife. Big Sky, already bursting at the seams along the Gallatin River will be spilling westward out across the forested mountains into the Madison Valley. The enclave of Ennis will at least double. All of these figures do not include the large and increasing number of second home owners who do not claim Greater Yellowstone as their primary residence with the U.S. Census Bureau. 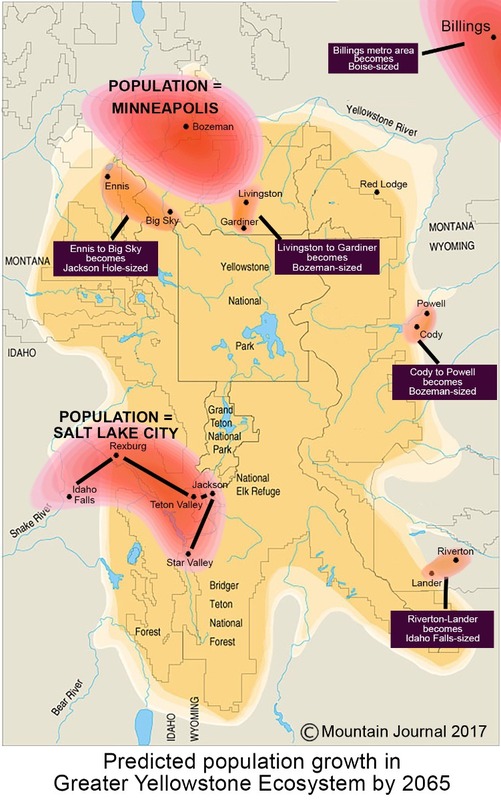 Within a few decades, the connect-the-dots corridor of Idaho Falls/Bonneville County, Idaho (currently 110K people) -Rexburg/Madison County, Idaho (40K)-Driggs/Victor/Teton County, Idaho (10K)-Jackson Hole/Teton County, Wyoming (24K)-Afton/Star Valley/Lincoln County, Wyoming (20K)-Pinedale/Sublette County, Wyoming (10K) will hold its own greater Salt Lake City equivalent of sprawl. Cody/Park County will hold a Bozeman-sized population. The Upper Yellowstone River Valley, between Gardiner and Livingston, will also be approaching Bozeman of today. Further, Billings/Laurel will be spilling into Red Lodge. What is happening in Gallatin County, as just one example, does indeed have huge spill-over effect implications for the Madison and Paradise valleys, and the open space defining Bridger Canyon and even the Shields Valley along the western face of the Crazy Mountains. Several ecologists told me that even if public land remains unchanged and not significantly impaired—an impossibility with climate change and energy development—the effects of private land development will doom the major wildlife migration corridors. While Greater Yellowstone is still ecologically intact, the way humans relate to it is multi-dimensionally fragmented. Again, among wildlife professionals there is widespread agreement that unless leaders (including public land managers, county commissioners, state legislators and mayors) think big and cohesively, making conscious effort to avert destructive patterns of sprawl that have degraded natural environments elsewhere, Greater Yellowstone is destined to follow the same fate. On top of the inward population migration of permanent and part-time residents, the front-country areas of Yellowstone and Grand Teton national parks, already choked with summer traffic, have broken visitation records almost every year for the last decade. Escalating recreation pressure is happening too. Mountain biking and ATV users on national forests and BLM lands accounts for some of the largest growth in backcountry users and they are reaching remote places considered important and safe refugia for wildlife. Some mountain biking advocates are working with the Utah Congressional Delegation, which has amassed a notorious anti-environmental voting record, to amend The Wilderness Act and open existing wilderness to bikers. Conflicts are erupting between differing user groups on both land and water. The majority of Greater Yellowstone’s public landscape is administered by the U.S. Forest Service which oversees five different national forests that report to three different regions. There is presently no cohesive framework within the Forest Service for assessing what the rapidly cumulative impacts of expanding recreation are on wildlife or what they’ll be in the future. The Forest Service claims it is both too understaffed and underfunded to generate the data it needs to make truly informed decisions. Correspondingly, a complaint being more frequently leveled against some regional and national environmental groups in Greater Yellowstone is that those organizations are happy to fundraise by highlighting the threats of resource extraction activities such as mining and energy development. But, critics of those groups say, they are unwilling to call out the impacts of recreation or scrutinize private land development for fear of alienating donors or losing popularity in the communities where they work. Is that true? 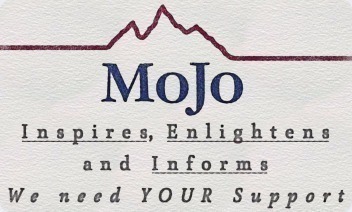 Mountain Journal will examine it in future stories. Another major problem is that local and regional media has largely been missing in action in writing about growth. 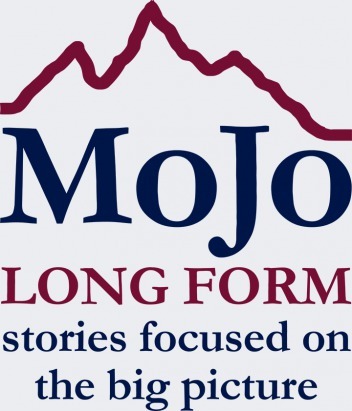 To date, there has not been a single journalist or publication devoted to covering the big-picture issues of the entire Greater Yellowstone Ecosystem full time. Truth be told, the stories that have been written about growth in the region have been lacking in depth and analysis. How can the public engage in informed discussion about what’s at stake if the media—which reaches the greatest number of people—examines growth myopically? In cases where the media has covered stories, the reporting has been misleading or notable for the questions that aren’t being asked. 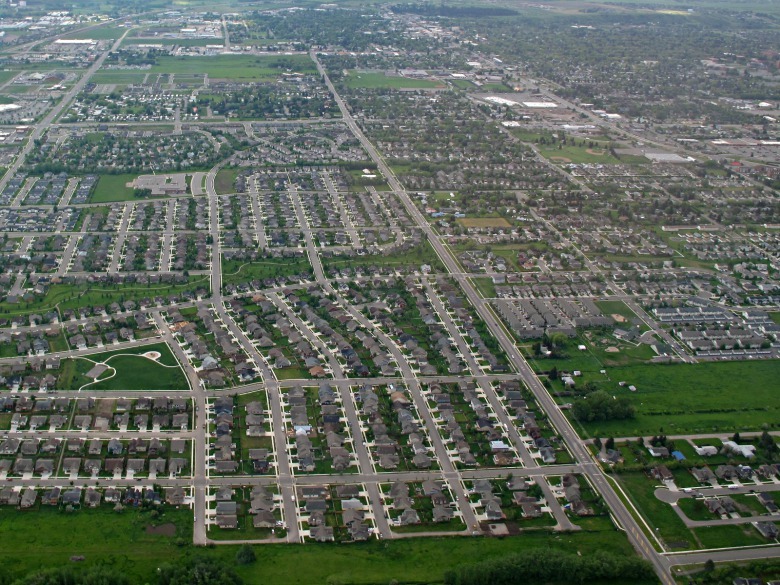 Gallatin County, Kendall wrote, is expected to hit 145,000 residents by 2060. But Prospera’s projections and Kendall’s reporting, were off. Way way off, in fact, by several times what the actual growth rate is. The data used by Prospera and the state calculated growth in Gallatin Valley at .8 percent when, again, it is closer to 4 percent in Bozeman/Gallatin. “I found their publishing of this data to be bizarre,” Carpenter said. The problem with the Prospera report, besides the faulty algorithms used to calculate the growth rate, is that elected officials have pointed to it in their assertions that growth isn’t an issue. In fact, some vocal individuals claim that protecting public lands and planning and zoning on private land that safeguards open space and the environment are impediments to job creation. 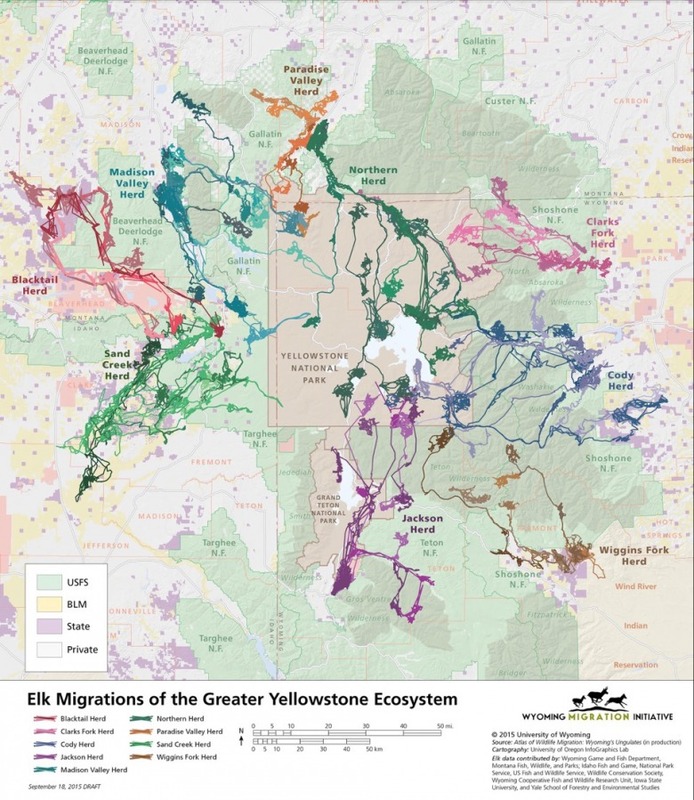 As data being crunched by another Bozeman-based think-tank Headwaters Economics suggest, healthy wildlands and wildlife populations (indicated by the elk migration map above) are, far from inhibiting economic development, Greater Yellowstone’s most potent engines for prosperity. Nature is Greater Yellowstone's golden goose. Together, the two national parks at the heart of Greater Yellowstone—Yellowstone and Grand Teton—infuse $1 billion in annual commerce driven by nature tourism to the region, with the marquee attractions being grizzlies, wolves and big game animals. The prospect of seeing wildlife attracts people from around the world. Bozeman has become the state’s busiest commercial airport, as has Jackson Hole’s in Wyoming. Nature tourism has yielded sustainable commerce more reliable than the proceeds in recent years generated by the other pillars—agriculture, logging, hard-rock mining and coal (subject variously to the whims to weather and markets). The magnetic appeal of wildness in Greater Yellowstone’s 22.5 million acres of land, an area equal to the size of South Carolina, and the preponderance of it taking the form of federal public lands, has a net annual economic value of more than $4 billion, suggests Headwaters Economics founder Ray Rasker. Even U.S. Rep. Greg Gianforte, when he operated RightNow Technology (since acquired by Oracle), told me in a story I wrote for The Christian Science Monitor that Bozeman/Gallatin’s clean and healthy environment was a major enticement for luring top-flight computer programmers to work for his company here. But should Bozeman or even the governor of Montana be trying to aggressively recruit Silicon Valley firms to move their operations? What would be both the upshot and the downside to landscape and the livability of the Gallatin Valley if, say, 1,000 new, high-paying tech jobs were suddenly created? No one, of course, is suggesting that good-paying jobs aren't good, but most of those jobs would likely go to outsiders and families relocating here, further taxing schools, roads, eating up more land. Were the prospect presented, would it be wise for city/county/state leaders to encourage it to happen, essentially pressing the accelerator on a speed of growth that is already explosive but being met with no coherent plan to deal with it? In a recent study with several authors, Andy Hansen, a conservation biologist and director of the Landscape Biodiversity Lab at Montana State University in Bozeman, noted that the number of private land tracts with no homes or few homes in Greater Yellowstone is declining. Meanwhile, the number of parcels with one home per 40 acres increased 328 percent from 1970 to 2010. In 2013, 30 percent of Greater Yellowstone was considered “developed,” and some wildlife migration pathways were believed to be imperiled. By 2020, between 5 and 40 percent of the ecosystem’s most biologically rich habitats will undergo conversion from ranch and farmland to exurban development, he told me in a story I wrote for National Geographic. The renowned guru of conservation biology, Reed Noss, has said nothing impacts the fabric of wildness more than roads or even recreation trails carrying heavy volumes of people. Based on his own research, Brock concurs. For those Greater Yellowstone residents who are indifferent to such impacts, unbridled growth has consequences for the very quality of life people are fleeing other areas to come here. As Carpenter and I stand on the flanks of Sypes Canyon peering into the wood smoke from forest fires, he mentions that as Bozeman/Gallatin fledge into a full-fledged metro area, the beloved views of the Bridgers could, within a decade or two, become shrouded by smog that rivals Salt Lake City, seriously impairing air quality (and not including bad air made worse by forest fires). That’s not good news for asthmatics but the most precious natural resource in Greater Yellowstone is water. A few years ago, a working group examined water use in Bozeman and arrived at this conclusion: By the year 2036 or when Bozeman reaches a population of 62,000—whichever comes first—the population of the city will outstrip the capacity of its existing water supply that takes the form of three reservoirs. Bozeman’s population already is sailing through 50,000 and could reach the 62,000 threshold early in the 2020s, a full decade ahead of that prediction. Then what? “The water needs of the next fifty thousand people cannot be accommodated with the practices that supplied the first forty-five thousand,” said Bozeman city employee Lain Leoniak in a piece she wrote for the city’s website. Carpenter says water could become a limiting factor that cools Bozeman/Gallatin's growth. For those who say the answer is simply to build more reservoir capacity by damming more mountain streams, climatologists note that the outlook for climate change effects are for hotter and drier summers and earlier or less winter snowpack. (In future stories, coming soon, I will address the consequences of that and resorting to groundwater pumping). But this, too, raises another tantalizing question: If Bozeman, which sits near the headwaters of a major river system, is looking at water challenges, what is going to happen in major urban areas like Phoenix, Las Vegas, Salt Lake City, Denver and Tucson? Will water shortages and nearly unlivably hot temperatures there result in an exodus of people? 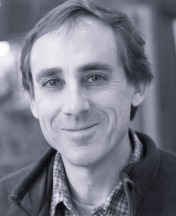 Bozeman City Commissioner Chris Mehl, who is running for mayor in the fall, works as an analyst at Headwaters Economics and previously served as a Congressional aide.. He is frustrated by the knee-jerk anti-government sentiment that proliferates in the rural West—based on the trope that “big government” is trying to rob individuals of their freedoms. But should the costs of an individual’s right to do business on private land be passed along to taxpayers and do individuals who are transforming landscapes have any responsibility to help protect assets valuable to the common good, such as wildlife? It is clear that the free-market and laissez-fair capitalism have never resulted in a wild ecosystem like Greater Yellowstone staying protected. In fact, there's compelling fiscally-conservative argument that can be made for planning and zoning because it highlights predictable impacts and allows for crises to better be averted, like those that arise when towns run out of water, or a subdivision in the county discovers that its individual wells are contaminated by someone’s raw sewage due to septic systems put in on the sly and the cheap. Mehl believes the only way that wildlife issues will resonate is if the threats are made tangible, not only in the eyes of citizens but the decision makers they elect. The media plays a crucial role. Paradoxically, at a moment in time when Greater Yellowstone most needs her residents to rally around a common vision, ideological divisions are at their deepest. If Bozeman/Gallatin is one of the main pistons in Greater Yellowstone, then Jackson Hole/Teton County, Wyoming is the other. Teton County is, per capita, one of the wealthiest counties in the U.S. because of the high concentration of uber-wealthy individuals who live there permanently and seasonally. For years, severe housing shortages have resulted in high home prices and rents so expensive school teachers and firefighters can’t afford to live there. Part of the blame is because 97 percent of Teton County is federal or state land and just three percent is privately owned. 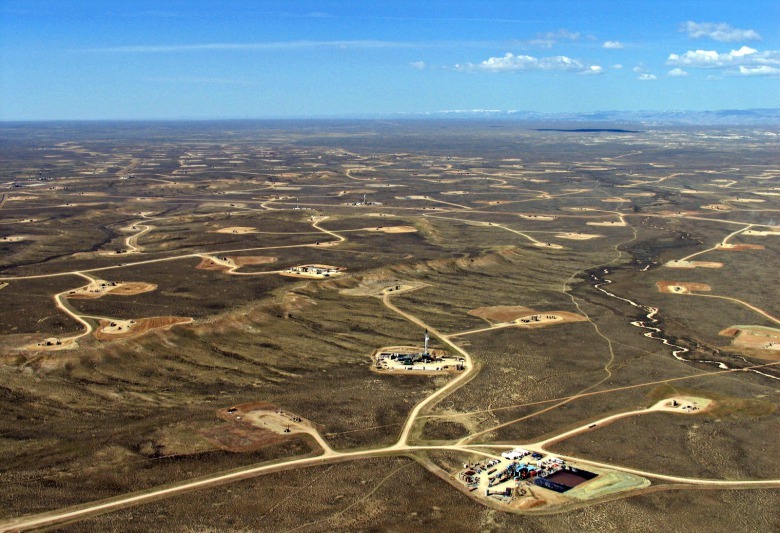 Growth proponents have suggested that public land be divested to accommodate more development. But the truth is that the highway system in Teton County is already racked by urban-like congestion. Today, more hotel rooms in Jackson Hole are being added to bring in more visitors who are shelling out hundreds of dollars a night while the service workers making the visitors’ beds have to make long commutes in and out of the valley. At the same time, multi-million-dollar, 10,000-square-foot homes are being built not only in Jackson Hole (but also, up north in Big Sky, Montana) exacting huge footprints and many are only inhabited for the equivalent of a few months out of every year. Meantime, development continues to fracture what remains of wildlife habitat with one indicator of the effects being a significant number of road-killed animals along the highways. Packing more people into Teton County, critics of growth say, is not going to resolve any problems related to the impacts of sprawl and will only exacerbate the domino effects radiating in all directions. FutureWest, Teton Valley Advocates for Responsible Development and the Jackson Hole Conservation Alliance are three of the very few conservation organizations in Greater Yellowstone aggressively working on private land growth issues. A number of excellent land trusts are protecting land by brokering conservation easements in Greater Yellowstone, and an effort called the High Divide Collaborative is collaborating with ranchers and farmers to protect agrarian land, but none really engages in the contentious trenches of shaping public policy. Moreover, the pace of development is far outstripping the scope of protection being achieved by land trusts alone. The High Divide, so named because it applies geographically to the path of the Continental Divide as it runs from Wyoming into Idaho and Montana, represents the western flank of Greater Yellowstone. It’s a microcosm of the big picture. 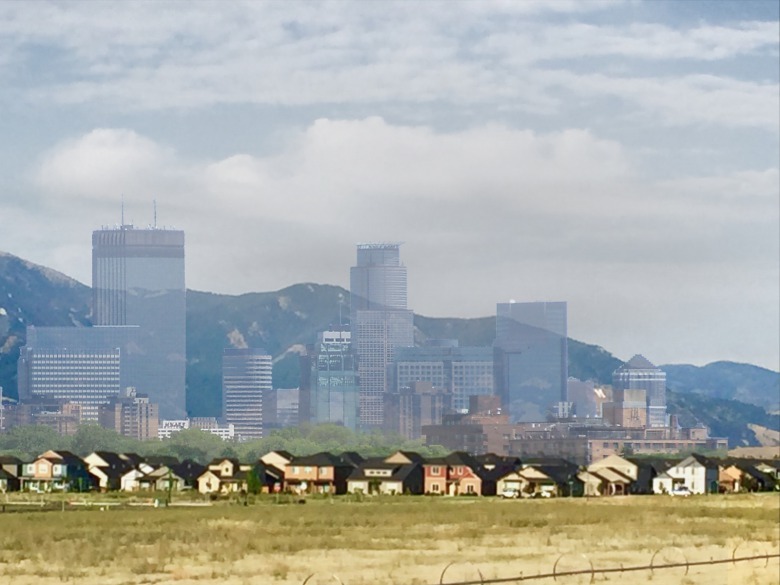 In the past 50 years, according to Headwaters Economics, 51 percent of new homes were built outside of town centers in unincorporated portions of High Divide counties. Since 2010, this trend has increased and 63 percent of new homes were built outside of towns. “This trend of an increasing amount of development occurring outside of town centers will impact and compromise the future of important working lands, scenery, and wildlife habitat for many of the iconic wildlife species associated with the High Divide, including elk, pronghorn antelope, grizzly bears, and wolverine,” Headwaters stated in a report. Dispersed homes also restrict hunting opportunities, limit scenic vistas and open spaces, and increase potential conflicts with agricultural land owners. Among High Divide counties, high degree of variability exists in the amount of out-of-town growth. For example, in Jefferson and Madison Counties in Idaho, 19 percent of homes built since 2000 were built out-of-town. By contrast, in Madison County, Montana, one of the agrarian jewels of Greater Yellowstone, 91 percent of new homes put up since 2000 were built out-of-town. In the past 50 years, the number of new homes in the High Divide built in the Wildland-Urban Interface, prone to burning by wildfires, has increased by more than 300 percent, from 2,187 homes in 1963 to 8,915 in 2013. Who is paying for the costs of defending structures built in vulnerable places? The public. Sprawl is wreaking havoc on the budgets of some counties struggling to pay for law enforcement, fire protection, emergency services, roads and their maintenance, planning staff, and transportation for such things as school buses. In the next 10 years, nearly 150 square miles of currently undeveloped private land on the west side of Greater Yellowstone is forecasted to experience low-density creeping “exurban” development. If county commissioners in Greater Yellowstone aren’t together in addressing the costs and impacts of growth extending beyond their jurisdictional boundaries, and federal and state agencies aren’t unified in addressing impacts on and beyond their public land boundaries, what are the options? As Bozeman/Gallatin races toward becoming Minneapolis and the valleys straddling the Tetons turn first into Bozeman and then Salt Lake City, Carpenter says it is recent events elsewhere that keep him up at night. Scientists have been discussing the consequences of an ice shelf the size of Delaware breaking off Antarctica, melting and raising sea levels a foot along coastal areas where half of the population in the U.S. presently lives, he said. That alone, he says, is creating a nightmare of cascading growth-related issues, to which leadership in the Greater Yellowstone Ecosystem is either unable, unwilling or ill-equipped to confront. “But how are the counties and towns going to handle a potential flood of climate refugees on top of the current inundation?” Carpenter asks. He doesn’t even need to speak the answer. Another Cost Of Growth: Will Voters In Bozeman Approve A Tax Hike For Better Public Safety Facilities?